Android is world best and most used mobile OS mainly because of it open-end approach that enables users to customize and personalize their mobile devices. iOS lacks such open-end features, users can’t change much in iOS. Android’s open platform allows development activities and to access even locked and hidden feature on the mobile devices using tweaks and tricks. ADB & Fastboot tool is important if you want to root your Android device, try different custom ROMs, install custom recoveries and Mods to set the device according to your liking by bypassing manufacturer’s restrictions. But all this is not possible unless you download and install ADB & Fastboot Drivers on PC. Here we are going to show you a simple and quick way using which you can install ADB & Fastboot on Windows 10 PC and laptops. ADB (Android debug Bridge) is a debug tool to help your mobile to communicate with PC via USB cable to help you control your device from computer to transfer files, root device, run shell and terminal commands and more. With Fastboot you can reflash partition and image files on mobile device, you can also change file system images from PC and also install updates and zip files from fastboot. ADB & Fastboot download on Windows with Goolge’s ASK tool is not a straight forward tasks for non-experts users, but here we are going to keep things simple so that anyone can easily follow ADB & Fastboot quick install guide for connecting Android device with PC to flash firmware, kernels, Custom Recoveries and more. Android developers can also refer to the guide below to install ADB & Fastboot drivers on PC to perform Android development activities. Google wants more and more creative people to access development mode on Android devices to create more amazing stuff for Android users. But these options are normally hidden on Android devices to keep things simple for average users. One such option is USB debugging that makes reading and writing data on the device using PC lot more easy. Android users like tweaking their devices; they love to install modded apps, new firmware with updated features, root their smartphones, install custom ROM and Kernel and lot more. And all that requires unlocking bootloader and install custom recoveries which is only possible with ADB & Fastboot tool. It is very easy to setup and install ADB and Fastboot on Windows 10. See methods below to setup this tool on PC. Make sure that you device is in USB Debugging Mode before connecting it to PC via USB cable otherwise PC won’t recognize it. You can install ADB and Fastboot on Windows 10/7/8/8.1/XP PC/laptop. First method is 15 Seconds ADB Installer and the second is Minimal ADB and Fastboot. 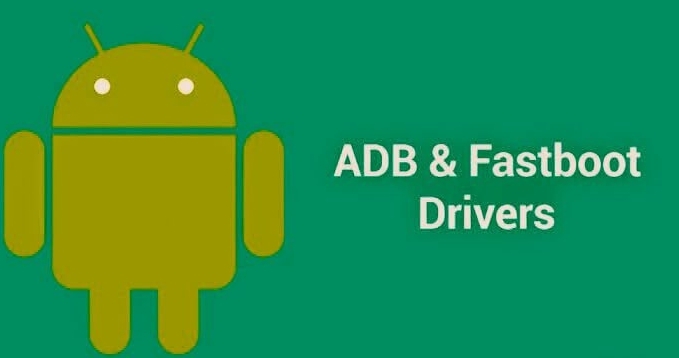 ADB & Fastboot (Android debug bridge) facilitates connection and communication between Android device and computer. Here you will learn how to setup ADB & Fastboot on Windows 10 computers. In order to flash firmware, kernel, custom recovery, sideload a flashable zip you need to connect Android device with PC which is made possible by ADB and Fastboot Installer. Google’s own Android SDK tool has ADB and Fastboot files but the process is lengthy and complex, most users would be able to get it. However, here you can see simple download instructions for ADB Installer for PC to install ADB & Fastboot drivers for Android. 1 – Download 15 Seconds ADB Installer, created by XDA member Snoop05, from links below. This installs ADB, Fastboot and USB drivers on PC. 2 – Now run the installer file as an admin on PC. 3 – On Command window type “Y” next to the question to install ADB and Fastboot drivers. 4 – Follow instructions on Driver installation wizard to install drivers. 5 – After the ADB and Fastboot drivers are installed on PC go to command window again. 6 – Now type ‘Y’ again this time to install device drivers. Wait until the installation is complete after which command window will close. All done. You can successfully install ADB and Fastboot along with drivers on Windows 10 PC. 1 – Download Minimal ADB and Fastboot, created by XDA member Shimp208, from the link below. 2 – Run the installer file as an admin on PC. 3 – Follow on-screen setup wizard instructions to install Minimal ADB and Fastboot drivers. 4 – Save ADB and Fastboot drivers on your chosen location in PC. You have successfully installed Minimal ADB and Fastboot on Windows 10 PC. To check whether ADB & Fastboot have been configured properly on PC go to the installation directory, now press and hole SHIFT key and right-click to open the command prompt. Type ‘adb devices’ in the command prompt to see the list of connected devices. After installing the tool, use desktop shortcut to quickly access the tool to copy .img files. For copying .img files with ADB and Fastboot tool go to C:/Program Files/Minimal ADB and Fastboot folder and paste them there.